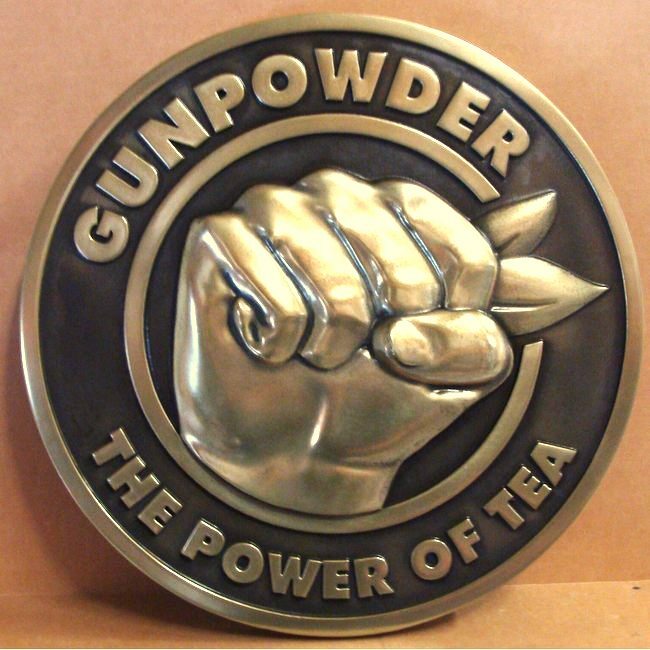 Above is shown a brass-coated 3D carved High-Density-Urethane (HDU) wall plaque, incorporating Tea Party symbols. The text and art is brass-coated, with a high polish, and the background is has a dark patina.This seal is 20 inches in diameter, but can be purchased in any size from 16 inches to 60 inches in diameter. It can also be customized with other text or art.